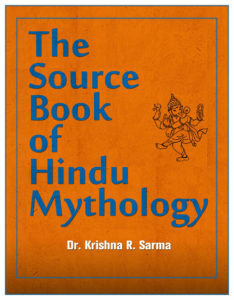 Originally published in 2011, this ebook describes the figures of the Hindu Mythology, why they came and what they have done. Major figures such as Brahma, Vishnu, Shiva, and Krishna are described with a pronunciation guide. Minor figures are described as well. This work is primarily intended for the second generation of Indian-Americans who may not have the ready accessibility of Indian mythology as their parents had, through stories, narratives and even actual reading of the Purānas during their youth in India. Kolluru Ramakrishna Sarma was born in Maddivalasa, a village in the state of Andhra Pradesh, India. His father was a Sanskrit scholar and a faculty in the Department of Philosophy in Andhra University. Ramakrishna graduated in Chemical Engineering from Andhra University. He then went to Karlsruhe, Germany on a German Government scholarship and earned a doctorate in Mechanical Engineering from the Technical University, Karlsruhe. After working for a few years as an engineer and educator, Dr. Sarma came to the United States as a Professor at the Old Dominion University, Norfolk, Virginia. When Dr. Sarma lived in Richmond, Virginia and he assisted the curator of the Virginia Museum of Fine Art’s Indian section, Dr. Joseph M. Dye III, in translating “ASWASATRA” of Salihotra from Sanskrit to English. Dr. Sarma was part of a Gita study group that read and interpreted the BHAGAVADGITA. He was a frequent participant in the activities of the Richmond Hindu center and the annual India Festival. His current interests are writing and translating Hindu religious books. Dr. Sarma lives in Alexandria, Virginia.